WRMFA is a volunteer-based , not-for-profit youth sports organization. We are looking for volunteers who are passionate about football and want to help Waterloo Region Football develop and enhance our programs by taking an active role on our board. This is a highly rewarding experience and a chance to get involved in your local community. Start the application by being nominated and having your nomination seconded. Nominations received after 11:59 pm, October 31, 2017 will not be accepted. 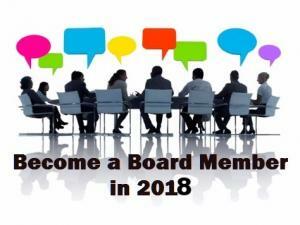 After the deadline of October 31, 2017, we will invite all nominees in for a meet and greet with the current WRMFA Executive where we can provide details on the history of WRMFA, the role and expectations of a Board Member and individual director positions. We will also discuss police background checks, an important step to make sure our children are in safe hands. Please Note: You need to be a member in good-standing to have your application approved. Thank you for your interest in playing a significant role in WRMFA's future sucess!